During 2014/15 the Trust completed an ‘options appraisal’ for the Cadbury Barn at Manor Farm Park. The aim of the work was to find the best option for a sustainable future use for the semi-derelict and at risk Barn and adjacent farm buildings. Unfortunately, in July 2017, an arson attack destroyed the barn. The Friends of Manor Farm Park are continuing to pursue a future for the site as a community asset and Birmingham Conservation Trust continues to have a watching brief over the project. The Barn is a quirky, rustic-style timber building built in 1895 for George and Elizabeth Cadbury on their estate at Manor Farm, Northfield. 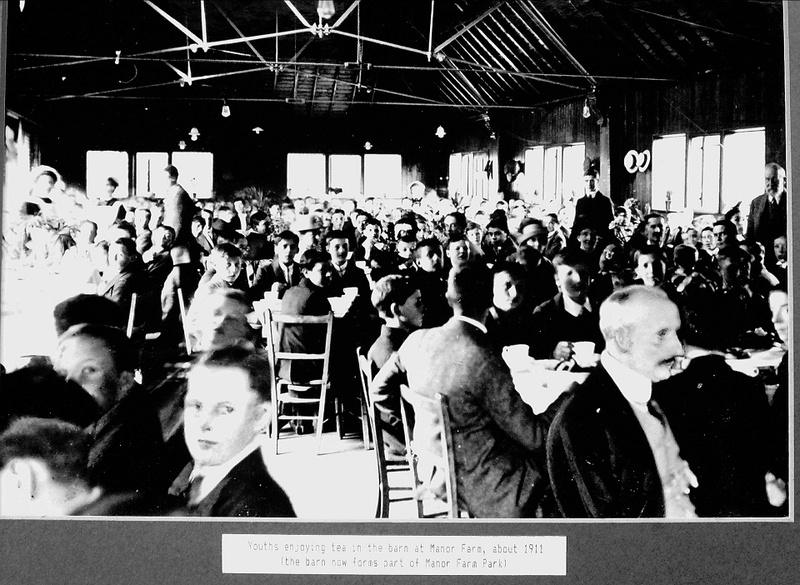 The Barn was built specifically to host large parties, mainly for children from deprived areas of Birmingham and the Black County. The children would enjoy a day out in the countryside, with activities such as swimming, and including tea in the spacious Barn. During the Second World War the Barn, together with adjacent farm buildings, was used as the national training camp for the Quaker-led Friends Ambulance Unit. The Barn is of architectural and historical significance, particularly through its association with Quaker/Cadbury philanthropy, and is much valued by the local community. In his will George Cadbury gifted part of his Manor Farm estate, including the Barn and adjacent farm buildings, to the people of Birmingham for use as a public park. Today, the park is maintained by Birmingham City Council Parks Service, who use some of the farm buildings as a depot; at present the Barn is used for ad hoc storage. 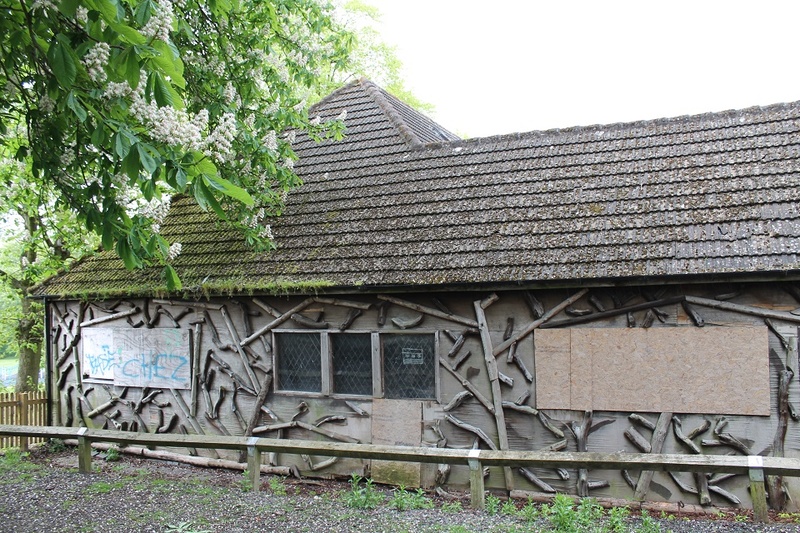 Concern about the continuing deterioration of the Barn, and its vulnerability to vandalism and arson, prompted the Friends of Manor Farm Park to instigate the options appraisal, which was funded by Bournville Village Trust and carried out in partnership with Bournville Architects. Although the work was carried out with the full and helpful cooperation of Birmingham City Council Parks Service and Property Services, the council does not have the resources to repair and maintain the Barn and associated farm buildings itself. In addition to contributions by various specialist consultants, the appraisal included community consultation, comprising various public presentations, an open day at the Barn, and an on-line survey. Through these means more than 400 people were consulted from May 2014 to March 2015. 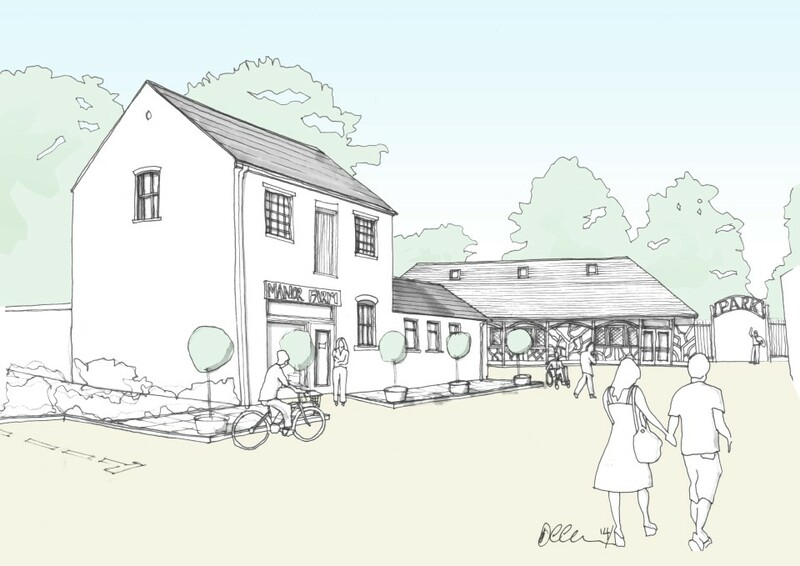 This consultation revealed the strong heritage and local importance of the Barn for the community, and overwhelming support for the idea of rescuing and restoring the Barn. 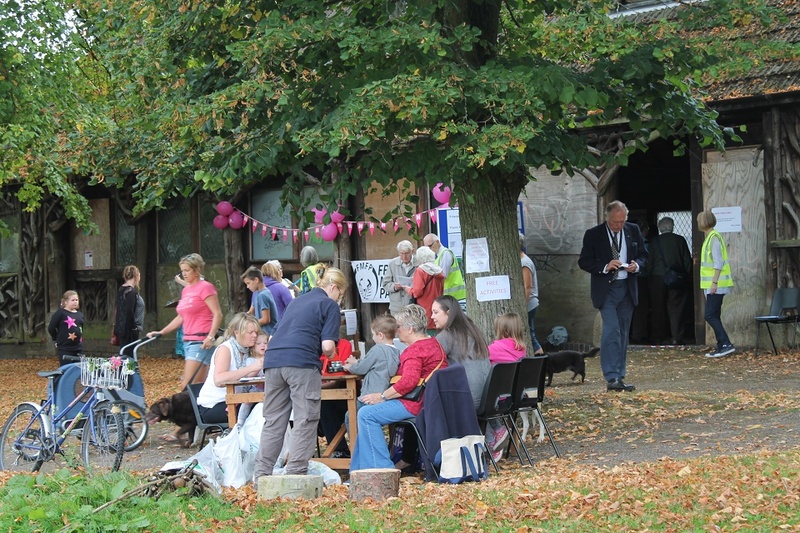 The provision of a café/tearoom (with external terrace overlooking the park) and toilets was the most favoured use for the Barn, along with the provision of flexible space for a variety of uses of benefit to the whole community. It was further widely felt that the any development should take account of the original purpose for which the Barn was built and ‘Cadbury principles’, and that interpretation of the history and heritage of the Barn should be included. A consultant was employed to carry out a market assessment of this option for the use of the Barn, and concluded that, properly executed, it had long-term viability. This was therefore the favoured option for the Barn itself. For the former farm buildings adjacent to the Barn, the favoured option was conversion to become the new headquarters for the Birmingham and Black Country Wildlife Trust (BBCWT), who stated, “We believe we can bring to the development interesting projects that reflect the heritage of the Barn and the site, in particular the original aim of providing children living in the city with access to the natural environment”. Unfortunately, the destruction of the barn means that certain elements of the plan will need to be rethought and new research and investigations are likely in order to determine the future of the barn and adjacent buildings.